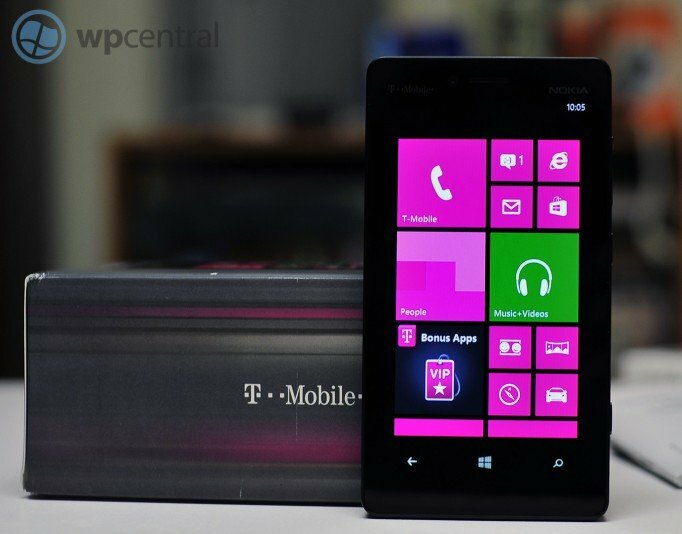 It was reported a few weeks back and evidently re-validated by Windows Phone Daily that the Nokia Lumia 810, a T-Mobile “exclusive” phone, would receive an over-the-air firmware update at some point to enable 4G LTE speeds. What’s more, it’s been said that the 810 and not the HTC 8X would be getting this feature, a claim somewhat confirmed by a recent FCC filing for Nokia’s device. When the original report came out, it stated that the Galaxy Note II would also get such an update. Today, T-Mobile held a press conference in New York City where they announced the BlackBerry Z10 pricing and availability, as well as their future plans for new devices (iPhone 5, Galaxy S4, HTC One) and their LTE rollout. Interestingly, T-Mobile highlighted numerous 4G LTE devices including the aforementioned but also the Galaxy Note II and its firmware update to enable higher data speeds. That update is now live, meaning users can go ahead and grab LTE in Baltimore, Houston, Kansas City, Las Vegas, Phoenix, San Jose, and Washington, D.C. But there was no mention of Nokia, Lumia 810 or Windows Phone in the press release, nor anything about other current phones getting speed improvements via future firmware updates. At this point we’re still leaning on the original claim that this will happen, as Nokia does tend to deliver. However, it’s a big disconcerting to not have this information corroborated by T-Mobile in a press release. Surely that news could push a few more Lumia 810s to be sold? Customers can find more information about T-Mobile’s Simple Choice Plan at nationwide T-Mobile retail stores, on https://www.windowscentral.com/e?link=https%3A%2F%2Ft-mobile.7eer.net%2Fc%2F159229%2F187812%2F3290%3FsubId1%3DUUwpUdUnU15490%26subId2%3Ddwp%26u%3Dhttp%253A%252F%252Fwww.t-mobile.com%252F&token=LO-wobM3" target="_blank">www.T-Mobile.com, and through select dealers and national retail stores. · Samsung Galaxy S® 4 is the next generation of Samsung’s popular Galaxy line of smartphones. Exact pricing and timing of availability have not been announced, but the Galaxy S 4 will be available in the second quarter of this year. · BlackBerry® Z10 is T-Mobile’s first 4G LTE touchscreen smartphone featuring the redesigned, re-engineered BlackBerry® 10 platform, which continuously adapts to users’ needs. Starting today, the fastest and most advanced BlackBerry smartphone yet is available for qualifying customers for $99.99 down with 24 equal monthly payments of $18 for well-qualified buyers OAC. The BlackBerry Z10 is available through all T-Mobile channels. For more information about T-Mobile’s Z10, please visit Media Kit. · HTC One® is the first T-Mobile 4G LTE smartphone featuring new HTC Sense™ innovations, including HTC BlinkFeed,™ HTC Zoe™ and HTC BoomSound™. Wrapped in a sleek full metal body, the HTC One will be available later this spring in all T-Mobile channels. For more information about HTC One, please visit Media Kit. · Samsung Galaxy Note® II. Current users of the popular Samsung Galaxy Note II can now take advantage of T-Mobile’s 4G LTE network via an over-the-air software update. For more information about this update and for complete download instructions, customers can visit T-Mobile’s support page athttp://support.t-mobile.com/docs/DOC-4962. For more information about the Samsung Galaxy Note II, please visit Media Kit. · T-Mobile Sonic 2.0 Mobile HotSpot LTE is the first 4G LTE mobile hotspot from T-Mobile, providing simple and affordable on-the-go access to the Internet for up to eight devices. The T-Mobile Sonic 2.0 Mobile HotSpot LTE is available for $29.99 down with 24 equal monthly payments of $5 for well-qualified buyers OAC beginning today. It will be sold through all T-Mobile channels. For more information about the mobile hotspot, please visit Media Kit.